“Sisterhood means service” was the motto adopted by the women who became known as the Sisterhood of Johannesburg Jewish Reform. This first Sisterhood was formed on 30 August 1933 and its motto was carried over to all other Sisterhoods that followed. The first Progressive synagogue to be built was Temple Israel in Hillbrow, and this synagogue established its own Temple Sisterhood in 1936. As the years went on and more synagogues were established, Sisterhoods were started at all the temples in South Africa and what was then Southern Rhodesia. The Sisterhoods in the then Transvaal fell under the umbrella of the United Sisterhood (formerly Sisterhood of Johannesburg Jewish Reform). In 1951, Ethel Smith, a founding member, attended a convention of the National Federation of Temple Sisterhoods (NFTS) in Cleveland, Ohio, and this provided the inspiration for the formation of a national body, the Southern African Union of Temple Sisterhoods (SAUTS), in April 1952. 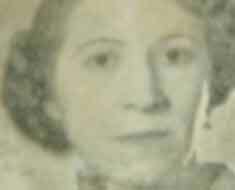 At the very first conference, held at Temple (now Bet) Menorah in Pretoria, Ethel Smith was not only elected president, but also honorary life president of the SAUTS. Biennial conferences were held in all the major centres in South Africa as well as in Bulawayo. In 1954, the SAUTS gained full representation on the SAUPJ administrative bodies, and in 1955, became an affiliated member of the Union of Jewish Women of South Africa. The first Sisterhood Sabbath was organised nationally in 1959 and since then, this Sabbath has been celebrated each year on the first Shabbat in March. Sisterhoods in Gauteng, Pretoria, Durban and Cape Town administer feeding schemes which care for the underprivileged; they assist students where possible; distribute grocery hampers for the various Chaggim (festivals); give care to the aged; teach life skills; and visit the sick and institutionalised. Fundraising is undertaken by all the Sisterhoods in order to finance their projects and these efforts take the form of book sales, jumble sales, whiskey tasting evenings, food collections, the sale of Judaica, concerts and the like. With the exception of the United Sisterhood, which is a professional fundraising organisation, all Sisterhoods operate on a strictly voluntary basis. Besides caring for those in our own country who need our help, the Sisterhoods in South Africa help those beyond our borders who have fallen on hard times. During the past few years, we have provided more than 5 000 Shabbat dinners for the Jews in Argentina; helped two school girls with transport and food for a year (also in Argentina); assisted women in the Ukraine establish Jewish homes with the provision of Judaica; and provided new clothing for children in Israel who have been affected by the ongoing terror. The United Sisterhood also sends food to Zimbabwe and gives assistance to a soup kitchen in Jerusalem. The SAUTS is a committed member of the Co-ordinating Council of National Jewish Women’s Organisations of South Africa and one of our members is its ambassador. The SAUTS is a founder member of the Shalom Bayit Project, which provides a safehouse for abused women. We are also represented on the board of Women for Reform Judaism, our parent body based in the United States; and have a seat on the governing body of the World Union for Progressive Judaism. Social Action vs Jewish Outreach? Jewish Outreach refers to the efforts of engaging wider segments of the population; the youth in particular, to become active, involved Progressive Reform Jews. Jewish Outreach in South Africa includes Netzer, Tamar, Jews by Choice, and Adult Education, among others.